When it comes to working on your home, you want a professional you can rely on for quality service. Magnum Contracting Group provides quality Copiague roofing, remodeling, and insurance restoration service. We have been the preferred general contractors in NY since 2010. Whether you need a licensed roofer contractor, a fire and water damage restoration specialist, a home remodeler you can trust, we would love to be your go-to source. The one constant in all projects we work on is superior service that results in your complete satisfaction. Call today for your free estimate! When you call us for insurance restorations, we'll perform an initial inspection of the damages. 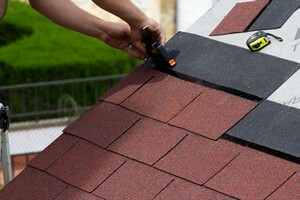 We'll document all the damage to your home and what needs to be done to restore it. This information will be very important when trying to negotiate the insurance claim. Once the project begins, we manage everything from start to finish including applying for and passing building code inspections. Throughout, we will work closely with you so we will be able to meet your needs. Our team has dealt with a lot of restorations, so you will have a professional to answer all your questions and guide you through the process. Are You Ready For Remodeling? Moving to a new home isn't always the best thing to do, so many homeowners decide to remodel instead. This is often a wise choice because of the Realtor fees, taxes, down payments, and more fees that accumulate to quite a bit of upfront money when you buy and sell. Remodeling your home can be done one project at a time or it can be done all at once. It's really up to you. Regardless, your plan needs to include the flexibility to make future changes as your family dynamics change over time. A good plan means that you take into consideration what you and your family may want or need years down the line. If you're ready to iron out a good plan and design, give us a call and ask about our professional Copiague remodeling services. We offer free estimates, so there's nothing to loose! If you need roofing or remodeling services in Copiague, NY, give Magnum Contracting Group a call today at 516-277-2300 or complete our online request form.